Spencer is a graduate student at UC Santa Cruz. Spencer currently splits his time between characterizing the survey selection function with Balrog and using X-ray data from Chandra to help the galaxy clusters group model cluster mis-centering. 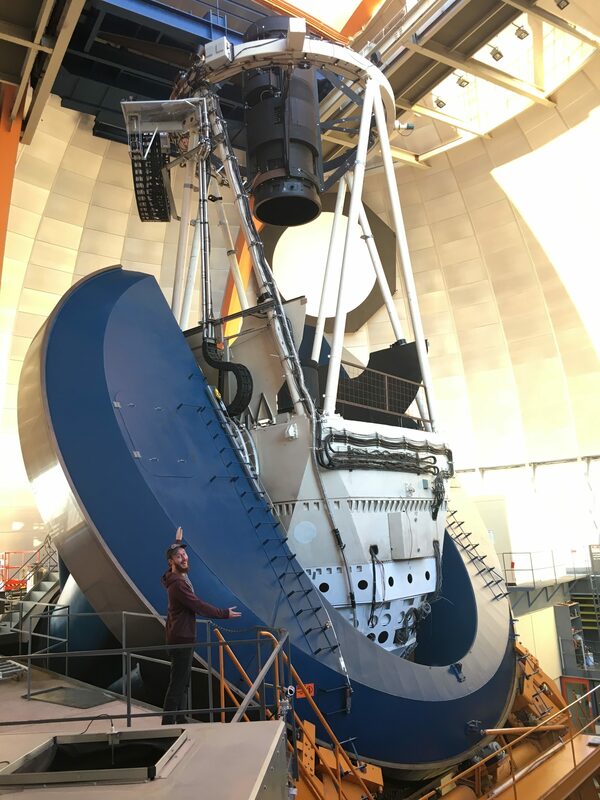 He’s mainly interested in cosmology, so he spends his days worrying about systematics control so we can better understand our data and be more confident in our results! The other scientists! Discoveries are rare – your colleagues, mentors, and students are what make the rest of the days fun! Probably when I realized my death-metal band wasn’t going to be successful enough to tour for the rest of my life. I’ve never been very competitive or ‘Type A’; I am mainly motivated by how much I love to learn new things and how freaking cool the universe happens to be. And lots of coffee. I play in a softball league at UCSC and picked up surfing this past summer. I try to play drums when I can but my set is in the wrong state! 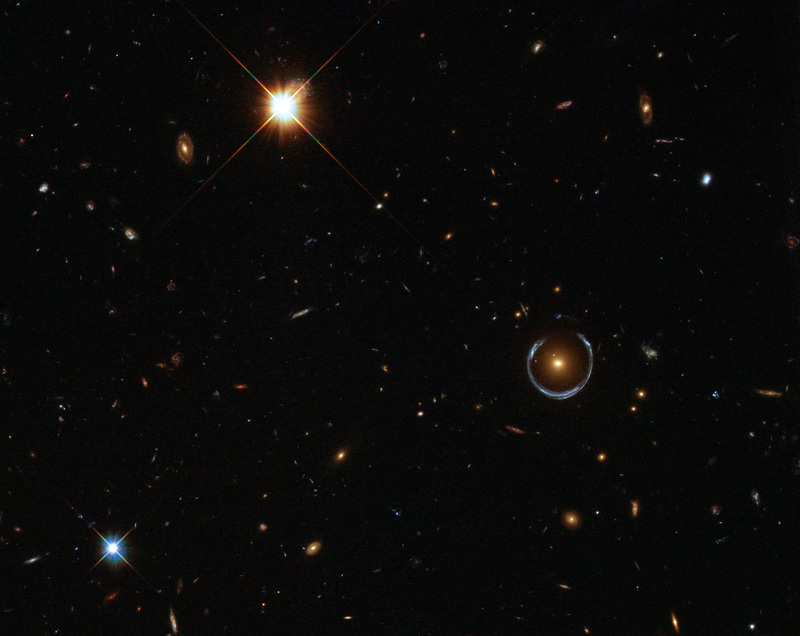 The “Cosmic Horseshoe”. Because (1) it’s gorgeous, (2) it’s a reminder how strange and fantastic the universe is, and (3) I like to imagine the faces of the astronomers who first looked at it. A teacher or a musician – or both! I am embarrassingly good at StarFox 64. Flashy answer: Gravitational Waves! New tools means new discoveries, and we’re still learning what will be possible with multi-messenger astronomy in the future. Less flashy answer: The enormous amount of data sky surveys are now able to take. While this has allowed increasingly precise measurements of cosmological constants, I’m more excited that it allows us to ask more precise *questions* about how different astrophysical structures in the universe are created, evolve, etc. Don’t let failure or rejection discourage you, whether in research, classes, or the endless number of applications/grants that have to be submitted. Everyone who has studied or worked in science has “failed” many times – scientists are the ones who were stubborn enough to keep pushing forward! If you love what you do, your work and drive will reflect that and the right people will eventually notice. Failure should make you ask *more* questions, not less!